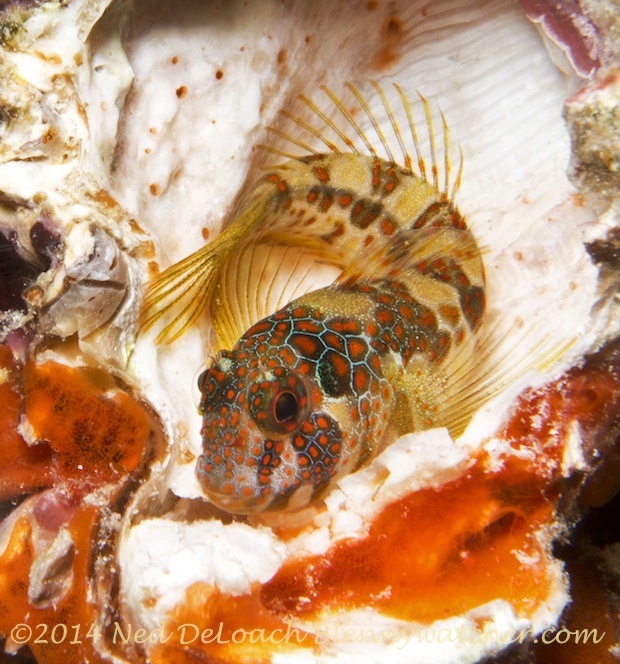 This is the most photographed Tessellated Blenny in the world and likely the most observed. I am certain of this. 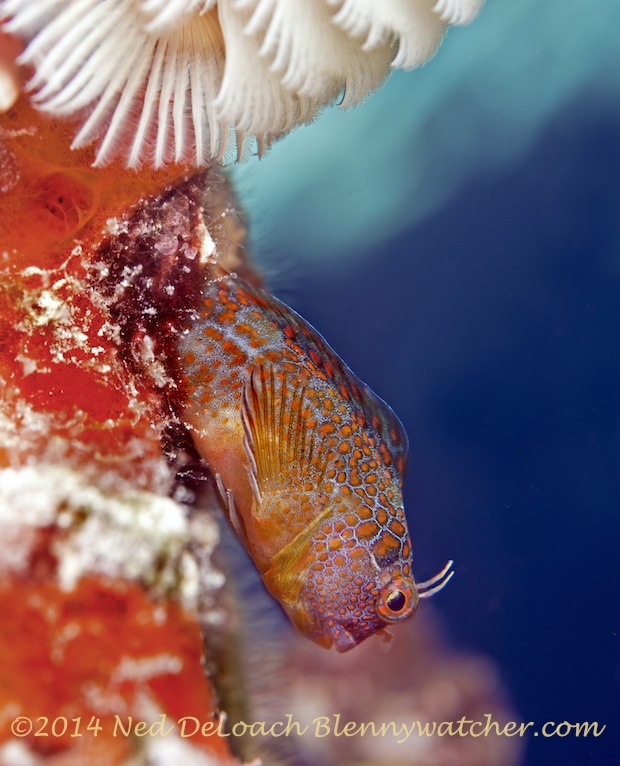 I spent hours with this fish and its reefmates – I think I might have been obsessed. 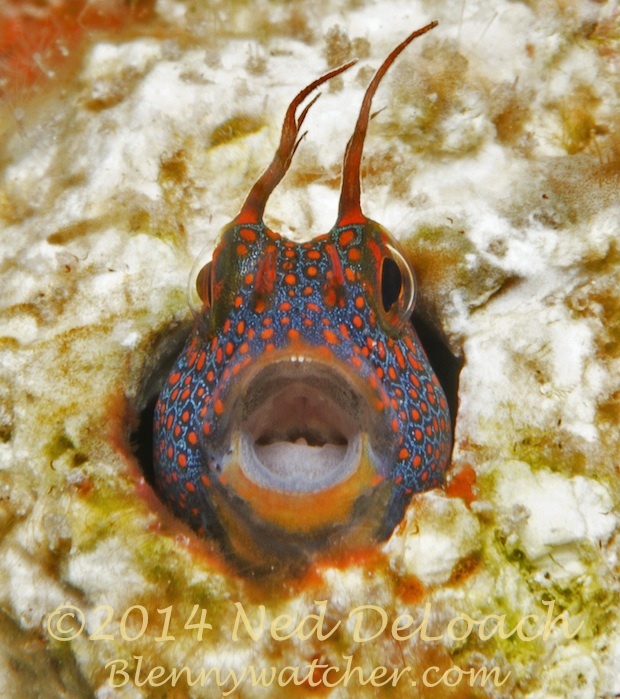 A few days after we arrived on Bonaire for our annual 5-week stay, our friends Allison and Carlos Estape (fellow fish surveyors) stopped by and told us about a site that had Tessellated Blennies (Hypsoblennius invemar) living in the barnacle shells. 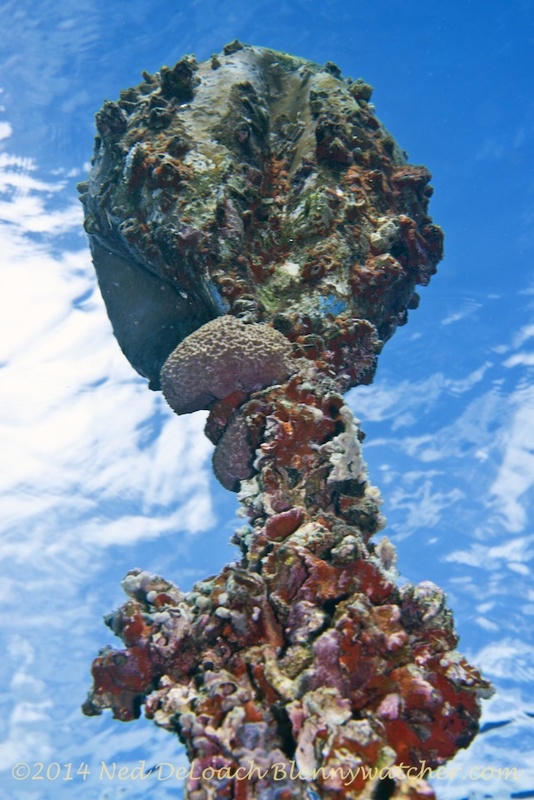 An abandoned, submerged mooring covered with a complex growth of sponges, barnacles and other invertebrates, this was perfect habitat for Tessellated Blennies. 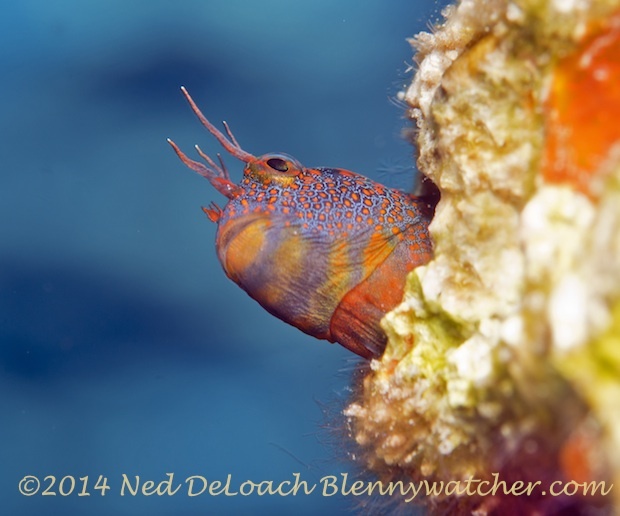 Enchanted by these colorful fish, we visited the site, dubbed the “blenny condo,” again and again regularly finding from 12 to 15 individuals, including one only a half-inch long. 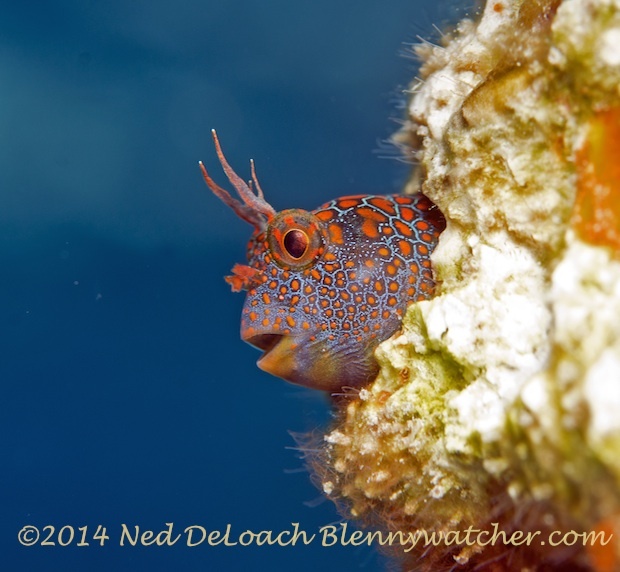 Coming soon: a revised Bonaire blenny map.